Our company has been in operation since 1992 and we do not plan on slowing down anytime soon! 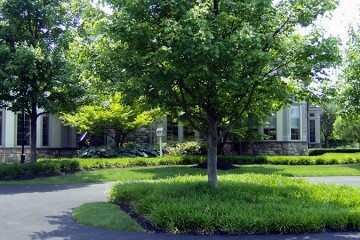 Our attention to detail has made us one of the most respected landscaping companies in Bucks County. 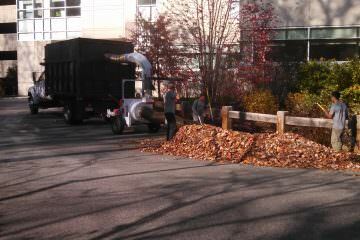 Our full-service landscape management firm offers a wide variety of services for all seasons. Some of our specialties include turf fertilization & weed control, landscape plantings, mulching, pruning, and commercial snow removal. 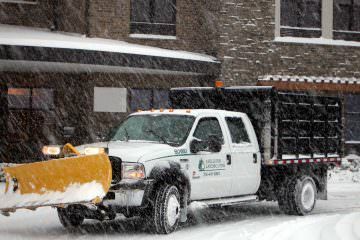 Apeldorn Landscaping is the commercial snow removal service that business owners in Philadelphia, Bucks and Montgomery Counties trust. No matter how big or small, we promise to always exceed your expectations! Apeldorn Landscaping, Inc. is a full-service commercial and residential landscape management firm based in Feasterville, PA.
We have serviced Philadelphia, Bucks and Montgomery Counties since 1992 and have a base of loyal, long-time commercial and residential customers who know they can count on Apeldorn for all of their landscaping needs. We are well known and respected in the communities we serve. Superior quality work, cost-effectiveness, personalized service and consistent delivery are what keeps our customers with us year after year. We use only the highest quality mulches, lawn care products, plants and landscape materials, so you know you will get great results each and every time with Apeldorn. Our full-service landscape management firm offers a wide variety of services for all seasons. Some of our specialties include weed control, snow removal, lawn mowing, leaf removal and turf fertilization.